A youtube channel by the name of development hub has recently launched a new video series of game development tutorials. 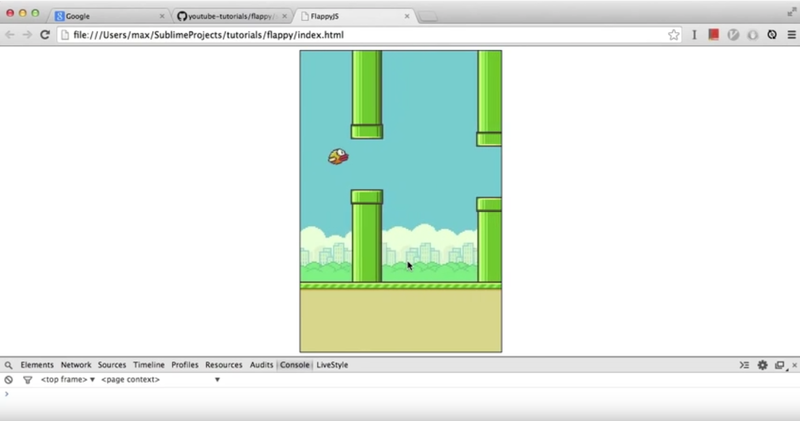 In this playlist, they outline how to create a Flappy Bird clone utilizing HTML5. Flappy Bird makes a great tutorial subject because of its simplicity so the teacher can focus on teaching the HTML5 without having to delve too deeply into the games logic. It is also a good platform for the series because of the ability of the learners to create their own versions and expand upon the project. Development hubs guide is easy to follow and useful for beginners, and I highly suggest anyone interested in learning to follow it. The series can be watched here.